Originally posted June 27, 2018. Following the huge success of his 1993 film Jurassic Park, Steven Spielberg was ready for a sequel. Despite this, and despite fans' urges for a follow-up to the 1990 novel of the same name, author Michael Crichton remained wary. To Crichton, sequels present "a very difficult structural problem because it has to be the same but different; if it's really the same, then it's the same—and if it's really different, then it's not a sequel. So it's in some funny intermediate territory." He had never written one before, and remained on the edge. But with Spielberg's interest piqued, and the fans' continuous nudging, he eventually gave in. In 1995, The Lost World hit shelves. Two years later, Spielberg's version crashed into theaters. As with Jurassic Park (and most other page-to-screen adaptations), questions about which version better pop up. And what better way to answer that question than with a little side-by-side comparison. Michael Crichton's sequel begins six years after the Isla Nublar incident of Jurassic Park. Its first order of business is to resurrect mathematician (chaotician) Dr. Ian Malcolm, who was presumed dead at the end of the first novel. This decision, Crichton said, was because Malcolm was needed. Malcolm served as the "ironic commentator" of the first novel, and Crichton felt his realist insights remained necessary. Without Malcolm, the story is just about an island of dinosaurs. With him, it's a social, academic, and scientific commentary. The Lost World follows the same basic format as Jurassic Park, but with less security. The group is smaller and their isolation is more apparent and infinitely more threatening. The book finds Ian Malcolm reluctantly teamed up with Dr. Richard Levine, a young and eager paleontologist who is determined to find a "lost world" of dinosaurs. The InGen incident of the first book has been largely covered up by the Costa Rican government, leaving Malcolm secretive and elusive about his experience. Hints of his potential post-traumatic stress are littered throughout the book: he is mentioned to have listed dinosaur names while recovering from his injuries in a Costa Rican hospital; he freezes the first time he sees a Tyrannosaur again, and the others have trouble shaking him from his shock; he expresses a wish to give up and die when he is injured again in a T-rex tag-team assault on the group's trailer. Levine's determination leads to the discovery of Site B, located on Isla Sorna. Here, dinosaurs roam freely. No cages. No electric fences. No security measures. Just endless tropical terrain and prehistoric beasts. After Levine visits the island on his own, a frantic radio call brings Ian Malcolm, engineer Jack "Doc" Thorne, and Thorne's assistant and mechanics expert Eddie Carr to his rescue. When they arrive, they discover that two of Levine's middle school students, thirteen year old Kelly Curtis and eleven year old R.B. "Arby" Benton, have stowed away in their cargo. The group is later joined by Sarah Harding, a famed animal behaviorist (and Malcolm's former girlfriend) whose interest was piqued by Levine's lost world. The deaths of John Hammond and Henry Wu in the first book seal the fate of InGen, leaving Site B as the last remnant of the company and its bold ambitions. It is discovered that the island was used to house the dinosaurs as they were developed, tested, and raised before eventually being moved to Isla Nublar to become attractions at the disastrous theme park. With InGen out of the picture, BioSyn has become increasingly determined to capture and exploit the company's technology. Lewis Dodgson is quick to discover Site B, and arrives with geneticist Howard King and biologist George Baselton in tow, adding an extra layer of tension for our heroes. Each group face increasing obstacles as dinosaurs attack, people are injured and sometimes eaten, and the groups come head-to-head all while racing against the clock to meet their rides off the island. 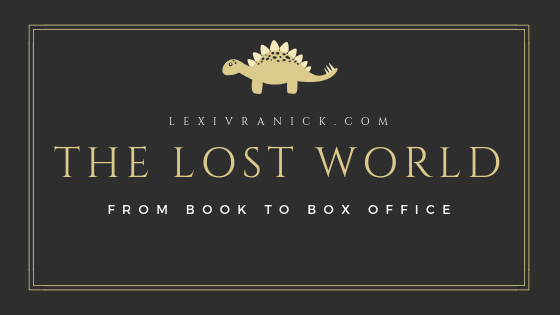 As with Jurassic Park, The Lost World is a heart-stopping action thriller with a brilliantly paced plot, larger-than-life danger, and characters so vividly real they practically leap off the page. It feels that Crichton found that intermediate territory he had been searching for in this first crack at a sequel. It follows the formula of the first book: group of professionals and two smart kids get trapped on an island full of dinosaurs while another group of people plots to steal the dinosaur's genetic codes for their own use. But it ups the ante in a lot of ways, isolating the characters by eliminating their contact with the outside world and shrinking the group to increase personal conflicts among its members. This keeps this anxiety level up for readers, as well as ensures the book's ability to stand on its own. Spielberg's 1997 Jurassic Park: The Lost World is a bit different from its literary counterpart. The film finds Ian Malcolm summoned to John Hammond's estate to discuss Site B on Isla Sorna, no resurrections required. With Hammond and Wu both alive at the close of the first movie, InGen is still kicking, but has been taken over by Hammond's nephew, Peter Ludlow. Unlike in the book, the incident on Isla Nublar is common knowledge. Through various conversions, we learn that Malcolm has spoken publicly about the incident, and that Ludlow has tried to shut him up, discredit him, and cover up the tragedy. The central conflict of the movie lies in family drama inside InGen and the fate of the dinosaurs on Isla Sorna. Hammond wants Malcolm to head a research team with the intention of using their findings to discourage human interference on the island, allowing the dinosaurs to live in comfortable isolation. Ludlow, on the other hand, wants to collect the dinosaurs to use in a new theme park on San Diego (you know, because it worked out so well on an isolated island). Initially, Malcolm is reluctant to go, but upon learning that his girlfriend, paleontologist Sarah Harding, had accepted Hammond's invitation and had gone to the island already, he relents. He quickly meets his team, which consists of engineer Eddie Carr and documentarian Nick Van Owen, and sets off for Costa Rica. Similarly to the book, a stowaway is discovered once the group lands on Isla Sorna, but this time it's only Kelly Curtis, and this time Kelly Curtis is Ian Malcolm's teenage daughter. The action amps up when Ludlow's team arrives, creating conflict that boils into grudging solidarity as the dinosaurs begin to pick off members of each group. However, the height of tension isn't reached on the island. As Malcolm and co. (minus Eddie, who met his unfortunate fate while trying to save the rest of the group) board a helicopter home, they see the survivors of Ludlow's crew towing a Tyrannosaur onto the boat.Upon arriving back in San Diego, it is discovered that Ludlow's team was able to procure a baby Tyrannosaur and its mother for Jurassic Park 2.0. It is up to Malcolm and Sarah to reunite the little family and lure them back onto a boat to shipped safely back to Isla Sonar - but not before they eat Ludlow and wreak some havoc on the city. In the end, Malcolm, Harding, and Kelly cozy up at home to watch a public broadcast of the dinosaurs' return to Site B and a statement from John Hammond, who pleads with the public to simply let the dinosaurs be. The movie is packed with action and lots of teeth. The cast swells in comparison to the first film. While the close-knit feeling of the group in the first movie attempts to be echoed through Malcolm's team in the second - solidified especially by his familial tie to Kelly and romantic tie to Sarah Harding - the addition of dozens of others and the subsequent consolidation of the groups limits the time spent on interpersonal relationships. Instead, audiences are gripped by tension as dinosaurs lurk around each turn and each person's fate hangs uncertainly in the balance. As far as sequels go, it's not bad. It just could have done more. Some are due to initial changes made when Jurassic Park made its big screen debut. The first film's choice to change Hammond into a warm grandfatherly figure and to keep him and Henry Wu alive changed the course for round two. In Jurassic Park: The Lost World, Peter Ludlow takes on many of the traits John Hammond had in the book - namely, corporate greed and careless exploitation of de-extinct animals. The second film also draws some material from Crichton's Jurassic Park by using scenes omitted from the first film adaptation. The young girl being attacked my compies (procomsognathuses) on the beach, for instance, was an early scene in Crichton's book. The omission and replacement of characters. The film replaces Doc Thorne with Nick Van Owen. It boils Arby and Kelly down to one character. It also replaces the BioSyn team of Dodgson, King, and Baselton with Ludlow's InGen crew. The time gap between original and sequel. In the book, it has been six years since the Isla Nublar incident. In the movie, only four years have passed. Ian Malcolm's post-Isla Nublar injuries. In the original novel, Malcolm's injuries were so dire he was pronounced dead at the end of the action. In The Lost World, it is revealed that he survived, but that he had lasting effects from his injuries. He walks with a cane and refers to himself as crippled. He begins physical therapy when he realizes he may come face-to-face with dinosaurs again, but acknowledges his body's limitations. In the movie, his injuries were less severe, leaving him unaffected by them in the sequel. In the book, Kelly and Arby are two hyper-intelligent kids from a middle school class taught by Dr. Richard Levine. Kelly is a thirteen year old aspiring mathematician who worships the ground Sarah Harding walks on, and Arby is a gifted eleven year old who is often bullied both for being a "brainer" and for being black. Levine tasks them with being his research assistants, though they don't understand that they're researching Site B until they meet Doc Thorne and Ian Malcolm. Upon discovering that Levine may be in trouble, and after being told repeatedly by both Thorne and Malcolm that they're absolutely not going to Isla Sorna, they stow away in the group's cargo. They're discovered when they pop out of the trailer to warn the others of an incoming dinosaur, and continue to be vital aids to the team. They help with everything from keeping watch to shooting raptors to hacking into the island's leftover computer system. In the book, however, Arby is dropped and Kelly becomes Ian Malcolm's daughter - a remnant from a failed relationship. As in the book, Kelly stows away after being forbidden to join the team. Unlike the book, Kelly doesn't understand what she's in for until she gets there. Her reveal on the island comes from her setting the trailer on fire while trying to cook, and she doesn't have any major role in the action until the climax of the escape, when she uses a gymnastics move to kick a velociraptor away from Malcolm. Sarah Harding's job, her relationship with Ian Malcolm, and her role in the story. In the book, Sarah Harding is an animal behaviorist with a speciality in large predators. She started a romantic relationship with Malcolm while he was recovering from the Isla Nublar incident. They ultimately ended their relationship, but remained good friends. She is the story's token badass, surviving being thrown off the side of a boat in open water, riding a motorcycle through a pack of velociraptors, saving Malcolm's life during a Tyrannosaur attack, and sacrificing an antagonist to a T-rex. In the movie, Sarah is a paleontologist, and she and Malcolm are in an established relationship. She's still pretty badass, but a lot of her scenes are sacrificed due to the larger cast and split screen time given so many characters. As discussed, Malcolm suffers lasting affects of injuries sustained in Jurassic Park. He is also severely injured in The Lost World, once again spending a great deal of time on morphine. In the movie, his body is shaken by the Tyrannosaur attack on the trailer and the attack on the camp, but after spending a few minutes sitting, he's back to running from raptors and helping the others. The book has the action contained to Isla Sorna, with the story ending as the characters finally find a safe way off the island. The movie decides to take the action away from Site B and plants some enormous dinosaurs on the streets of San Diego for some extra scares. These two works are so different from each other it's almost hard to tell they were born from the same story. It should be taken into account that changes made from the original adaptation altered the film greatly. John Hammond being alive, and being a compassionate and likable figure, is a huge deal. Public awareness of living dinosaurs being public means that the characters are not alone in their knowledge of the animals. The increase cast size offers up more non-emotional death-fodder for the writers. One of the Ludlow's InGen team, for instance, is eaten by compies in a similar way to how John Hammond died in the first book. The audience didn't know him well, so the death was just a good use of visual effects and an easy way to unnerve viewers. However, in growing its cast, the movie loses the intimacy created by the book. With a limited amount of characters, the book is able to explore each person and their relationships with one another on a deeper level. The smaller group also raises the stakes. As a reader, you don't want any of these people to die. You become afraid when they're in danger because you don't want to lose them. It would be heartbreaking to lose them. In the movie, there are so many people to keep track of. It can be hard to tell who was killed in any particular scene, and it gives you the security that the core cast (Malcolm's team) will get away with minimal casualties. The movie's decision to take the action to a metropolis also seemed an odd choice. Part of the appeal of the books is the secrecy surrounding the dinosaurs. They pop up on the mainland only to be destroyed. The Isla Nublar incident has been entirely hushed up. This leaves the characters isolated on a few different planes. Physically, of course, they're on an island of dinosaurs. But mentally and emotionally, after this incident, they will be the only ones who know. In the film, that's shot to hell within the first five minutes. A man on the train says he's seen one of Malcolm's talks and that he believes him. Dinosaurs are more central to the public sphere. Maybe you've got some skeptics, but ultimately, the public knows. And if they didn't know before San Diego, they sure learned. But it was very monster movie-ish, and doesn't quite fit the scientific commentary established in the first film and in the books. The movie isn't bad. It's really not. It's action-packed and outlandish. It can be fun. It isn't bad. But the book is the clear winner here. It understands its characters and its world better, and through keeping things small, it studies them both on a deeper level. There are more layers to it. The intimacy of it makes it interesting. It creates an emotional connection that seems absent from the movie. The movie seemed to try to drum up some kind of feeling by giving Malcolm a steady girlfriend and a daughter, but even those relationship didn't have time to be adequately explored given just how much was going on. While the performances were good - the actors were working with what they had, and they worked with it well - the writing just wasn't there. It wasn't strong enough to carry these relationships in the way Crichton succeeded with his isolationist sequel. So, ultimately, in this sequel versus sequel battle, the book comes out on top.